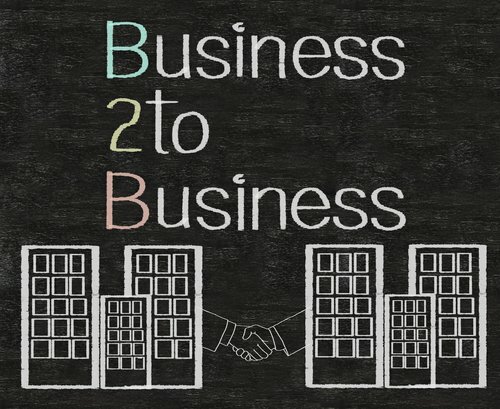 The internet and ecommerce are seen as a dominating force in many markets, but the change has come more slowly to business-to-business (B2B) sales. Ecommerce accounts for less than a tenth of B2B sales in the US. This still represents a large amount of money going to B2B retail sites, but it’s clear the full potential of the internet isn’t being seen here. This will not always be the case. Recent data from Forrester shows that B2B ecommerce sales will grow significantly over the next five years. A lot of B2B marketers use the internet to develop leads, such as by using LinkedIn, but when it comes to the final sale, much of this happens on traditional channels. According to a new report from Forrester Research, ecommerce will account for 9.3 percent of US B2B sales in 2015. This is a low percentage, but it represents an estimated $780 billion in B2B ecommerce sales this year, so it’s still a sizeable market. What’s more that market is set to grow dramatically. It took 25 years for ecommerce to take 9 percent of the B2B market share, but by 2020, ecommerce will account for 12.1 percent of US B2B sales, or $1.13T, growing by by about a third. It’s important to understand some of the reasons why B2B adoption of ecommerce has occurred more slowly and why this will change going into the future. One thing to consider is that there are far fewer sites for B2B sales than there are for consumer retail which means it easier to use a traditional buying method than to try and search for a website that can handle a large order from a business. As more B2B sites are setup and there services are advertised to business owners, ecommerce B2B sales numbers will rise as inevitable effect of better prices online take their course. One of the reasons the Alibaba IPO was such a big deal was that it was a site that specialized in connecting B2B retailers will buyers around the globe. This is backed up by the data from Forrester. According to the study, 74% of B2B buyers research at least 50% of their work purchases online. This suggests that although businesses are searching for items online they can’t find an online retailer to deliver exactly what they need. A second consideration is the trust factor. Many business owners are older and have built supply line relationships with companies and reps they’ve known for years. More business owners are beginning to recognize the savings available online and can find online retailers who have been around long enough to garner trust. The Forrester study shows that business owners are looking for online retailers who can provide many of the products they need at the best value. The researchers found that 60 percent of B2B companies say buyers spend more overall when interacting with multiple channels. The future looks bright for ecommerce sites that cater to B2B sales. The data from Forrester suggests that more businesses will search for and buy from B2B ecommerce sites in the near future. The researchers estimated that 56 percent of B2B buyers will complete at least half of their work purchases online by 2017. This is almost double the 30 percent expected to do so in 2015. This study from Forrester gives B2B retailers a lot to consider. For sites that devote only a small portion of their site to B2B sales, the time has come to ramp things up and to begin aggressively marketing these services to businesses. For B2B retailers with no online presence, revenues will decline as more people to turn to B2B ecommerce sites, so it’s time to bite the bullet and get a site developed. As the study shows, there’s a lot of money in B2B ecommerce sales now, and there will be even more in the future. For more information on using the internet to improve B2B marketing and sales, read this article on with 10 stats that show how B2B marketing can benefit from social media.